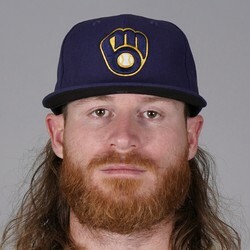 Ben Gamel went 2-for-4 with a pair of singles and a run scored in the Brewers' 4-2 win over the Cubs on Sunday. Gamel got his fourth start of the season and delivered his first multi-hit game of 2019. The 26-year-old is Milwaukee's fourth outfielder and doesn't have much fantasy value due to lack of playing time.